Product packaging is practical, helping to keep a product in pristine condition and safe from contaminants while it makes the journey from manufacturing facility, to store shelf, to a user’s bathroom. Done well, though, and it can edge a buyer to select it over a competitor’s offering, and reserve the product a place on a visible bathroom shelf to inspire and delight beyond the initial purchasing step. We live in the age of Instagram and “top shelfies,” and our packaging team is committed to helping our customers design and source packaging that helps them achieve all of their goals. For bar soap packaging, customers have two options at Twincraft Skincare: in-line packaging or staged wrapping. In-line packaging is done directly after the pressing stage, and bars of soap are mechanically packaged in cartons, paper wrap, flow wrap, or bulk pack. Staged wrapping is done in our wrapping room, and includes crease wrap, sollas wrap, paper wrap, tissue wrap, and shrink wrap. We’re committed to developing packaging that aligns with each brand that we work with, from high end bars that are packaged with their own soap dish, to small sample bars in doboy wrappers. Our innovation engineering team also includes a packaging division to help bring the best innovation to our customers, usually in ways that our competition cannot. 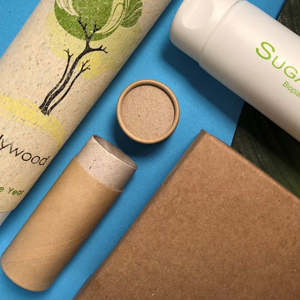 While bar soap packaging is often discarded after the first use, liquid skincare packaging sticks around for the duration of the product, with plenty of opportunity to educate the user and earn the product a permanent place in their medicine cabinet. Many prestige brands heavily invest in their product packaging, using airless pumps to help prolong formula efficacy and feature glass, metallic hits, and other packaging options that add intrinsic value for the customer. Our packaging team works with customers to help develop and source options for all price points, and is ready to answer your packaging questions. Our current capabilities include tube, bottle, and jar filling, and for unique business partnerships, we have the ability to expand and adapt our filling capabilities to meet the needs of our customers. For squeeze tubes, Twincraft has two filling lines and the capacity to fill over 250,000 tubes per week. We can label tubes, and orient the label to the cap. We have the ability to seal metal tubes for brands that want the heritage look and feel that metal tubes provide. Basic tube volumes range from 0.5 – 8 fl oz, and custom format change parts can be available for customers in less than 30 days. At our Essex, Vermont facility, we have two fixed lines with inline finishing capabilities, enabled to package bottles and jars. We are able to fill containers as small as 0.5 fl oz, up to five inches wide. One 6-head piston filler is used for low to medium viscosity bulk, fitted with cap torque, and can wrap and orient labels. One 5-head gear pump is used for filling all bulk types, fitted with cap torque, and has front/back labeling capability. Contact our sales team to learn more about packaging options and other development opportunities.